On Forgiveness Sunday, Holy Ascension Orthodox Church was visited by missionary James Hargrave. James serves with the Orthodox Christian Mission Center in Tanzania. Fr. John Parker interviews James about his work there. Fr. John Parker visited Albania in May of 2014 and while there interviewed OCMC missionaries Nathan and Gabriela Hoppe. Fr. John Parker traveled to Romania and sat down with OCMC missionary Floyd Frantz who works with the Church to help people with addictions. Fr. 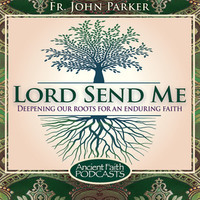 John Parker interviews Fr. Chad Hatfield, Chancellor of St. Vladimir's Orthodox Theological Seminary, about missions and evangelism. Fr. John shares about the Sunday of All Saints and gives a challenge for us to follow the examples of the missionary saints.